Animal Hoarding at a Northwest Florida High School? 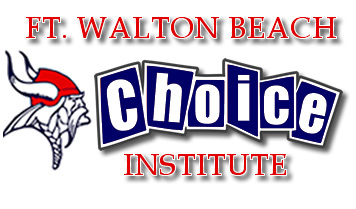 Welcome to Choice High School and Technical Center in Fort Walton Beach, Florida, part of the Okaloosa County School District. Their motto? Envision your future. The school is accredited by the Commission of the Council of Occupational Education. And one of the ways you can envision your future in the animal welfare arena at Choice is by studying to be a Certified Veterinary Assistant. The instructor is Jennifer Arne. But there’s a problem. You see, after years of receiving complaints about the program, Panhandle Animal Welfare Society has taken action and removed all the animals from the school program, and the school has, for now, shut the program down. PAWS went out on Thursday and it seemed the instructor knew they were coming. They told school staff they’d be back the following week, but instead they went back the next day. Uh oh! What did PAWS find? Over 200 animals, including a 5 foot long anaconda, being kept in storage sheds. According to NW Florida Daily News, the animals found included 100 rats, 13 chickens, 11 ducks, 22 rabbits (including 2 newborns), 6 peacocks, 9 snakes, 6 finches, a cockatiel, 2 parakeets, 2 pigs, 1 goat, 2 large fish, and other pet rodents. The animals lacked food, water, or adequate bedding. And the snakes had no heat. The school decided to surrender all of the animals to PAWS. But Jennifer can relax, because, for now, she still has a job. And from the looks of her Facebook account, plenty of animals at home to tend to. So you see, boys and girls, you can make a decent salary hoarding animals and teaching children to do the same. And your principal will enable you in the process! How cool is that! « An Update on da’ Rumpster! And yet it’s all so true. How sad….I’m relieved to hear that PWAS rescued those poor animals from the school…. Me too, but I’m sad it was allowed to go on for years. What a horrible school. It is appalling that no one did anything sooner. So glad someone finally got PAWS involved. Oh no! Including two newborns means, that the pets were not neutered? Who needs this kind of “schools”? I think they were to feed the snakes. I don’t know anything about this situation, but from your post I gather that this school was somehow privatized. In other words, this isn’t a Florida public school, but rather a private, for profit, corporation. Not really making any point here, just a matter of curiosity on my part. According to the Okaloosa website, it’s listed as one of their schools. That was my high school, actually. Even the logo is correct – the sports teams are the Vikings. When does the insanity end!!! As above – that was my High School many years ago. I rather wish they’d had this sort of program then, as I would have been in it and stopped that nonsense cold. Ive lived on fort Walton beach so I’m ashamed to see something like that. This is appalling. I mean, at my high school the FFA had chickens we would raise in the barn out back, but they were very well taken care of. We iz appaulled by diz artickle!! How cuud da Principull n da other teecherz let diz happin?? Pawfull….me hopez dere are chargez laid…n me n Mum hope all da animalz; Anacondaz included find propurr placez to live da rest of dere livez! !